China, but also sees the toys industry as its one of the strongest industries. Yiwu Toys Market not only has the largest wholesale toys marketplace in China, but also sees the toys industry as its one of the strongest industries. There are premium brands in Yiwu toy markets like GoodBaby from Jiangsu province and ULTRAMAN from Guangdong province. Sure, you can find tons of other brands toys. There are over 6,000 stalls forwholesale toys of electric toys,inflation toys, plush toys,RC Toys ,Action Toys, Animals & Stuffed Toys, Arts & Crafts, Educational Toys, Electronic Toys, Outdoor Toys & Structures, Pet Toys, Plastic Toys, Pretend Play & Preschool, Solar Toys, Toy Vehicles, Wind Up Toys ect. on the first floor in district1 of Yiwu International Trade City. A typical booth always, around 4*4*3 metres, has two or three assistants and displays samples as various as possible for customers. So the toys market seems in the dream of a child filled with toys and stuffs. Price has a range from cents for small buddies to hundreds dollars for the newest best quality electric toys. So there you can easily find dollar items. Minimum Oder Quantity is about dozens. It is not easy to buy samples from the shop owners. They prefer to offer samples when you place an order. That doesn’t you cannot buy anything but have to place orders. Many clearance sales/leftovers from factories give customers an opportunity to buy them one by one with a cheap price but same quality. The suppliers in Yiwu Toys Market seems much educated than before. But it is inevitable to avoid the bad services from suppliers from around China, even around the globe. Therefore, you’d better not expect the warm services each time in Yiwu toys market. What we can do for you is to reduce the rate of this kind of situation, and help you establish a good relationship with suppliers quickly. Further more, we will offer first-rate services to you. When you are in Yiwu China, you will never feel what’s going on here instead that you exactly know what you are doing. 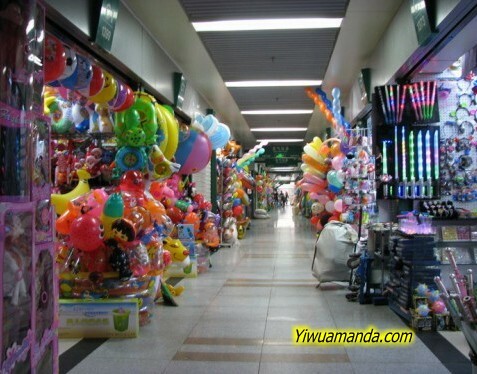 Welcome to Yiwu Toys Market.